If you are planning to come up to the mountain for a day or a week, and want an adaptive instructor, then this program is for you! Whether it is for an hour or a week, we will do our utmost to make your visit worthwhile. To enroll for a lesson, you must be a member of our SSASS organization as well as the BC Adaptive Snow Sports Society. You may complete both applications online as outlined below. It does take a bit of time to coordinate instructors so please start the process as early as you can. We are here to help you every step of the way. Be sure to contact us if you are the least bit uncertain how to proceed. First you need to register as a SSASS student so we know a bit about you, whether you are a sit-skier or standing skier or snowboarder and when you are planning to visit. Once you are registered, we will follow up by contacting you directly to learn more about you and your expectations. Then we assign volunteer instructor(s) to work with you when you arrive. 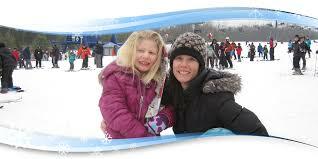 A BC Adaptive Snow Sport Society (BCAS) membership is also required. It is purchased on line from the BCAS website. We have a large inventory of adaptive equipment should you require it. Full non-adaptive equipment rentals are available directly from the resort. The SSASS room, located in the village, is available for you to share with us. We have washrooms, changing rooms and a lunch room with coffee, tea, hot chocolate and a microwave . You are welcome to bring your lunch and join us as our guests!